It’s football time in Tennessee! And NES understands the importance of football in the Middle Tennessee community. 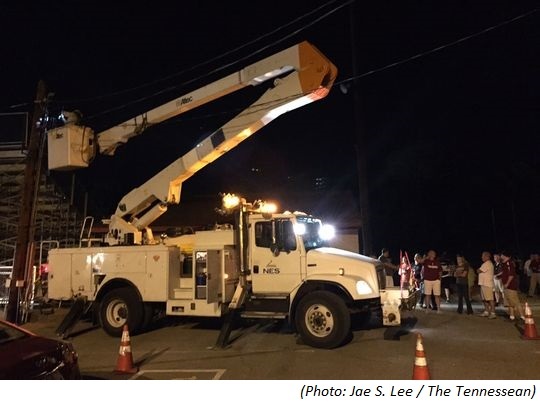 So when power was interrupted at a local high school game, crews were happy to make repairs as soon as possible so the game could continue. The outage may have originated from sparks from a nearby pole. Thankfully, no one went near the pole and no one was injured. Even though football is important to the community, safety is our top priority at NES. During unknown situations, always alert proper authorities of an outage and never touch a downed wire.